The four thousand-year history of Israel is full of paradoxes. The Israeli founding myth, with its strong diasporic tradition and with about 8 millions of subjects compared to about 6 of residents in the Promised Land, remains opposed but decisive for the understanding of a state with an institutional structure not yet fully completed. Already at the time of the foundation some religious parties supported the uselessness of a Fundamental Charter, given that the Torah it remained the only Constitution of the Jewish people; more prosaically Ben-Gurion, engaged in the building of the state, postponed its adoption by an innate opposition to any standardization, limited the executive power; a habitus in fact perpetuated over time and now sees Netanyahu interpreter of a free-hand policy, which plays on the weak points of the Moscow-Tehran alliance in Syria and on the geopolitics of the start-ups that turns his gaze and interests towards China, India, Brazil and that worries the US for the possible exchange of know how technology. In fact, Israel is still struggling to adopt a Constitutional Law as it is understood in the West; a law able to summarize, satisfying them, the demands of the many ethnic groups present and fragmented on the territory. Regionally, Israel is the only political entity, together with the Iranian and Turkish "Empires", that can nevertheless present a real state structure, despite the Anglo French colonial experiments that have traced flimsy borders on the sand. On the one hand, Israel is a technologically advanced country, cultured, rich (according to the area standards), at the moment the only Middle Eastern nuclear power, as well as the holder of substantial energy resources in areas facing its coast; on the other hand it is an entropic, multiethnic and plurireligious reality, always fighting with an enemy that acts as an aggregator of its different souls. The security of Israel depends on a military superiority capable of controlling the neighbors by annihilating the aggressors; but is it possible to imagine an Israeli empire, where space and demographic deficits are going to undermine any strategy? The recent Law of the Nation, also criticized in the homeland, envisaging the right of self-determination restricted to the Jewish people, reignited the desire for expansion in Judea and in the Samaria of the Old Testament, ie in areas currently Arab-Palestinian. Eretz Ysra'el is the Land of Israel, the object of the biblical promise which, however, does not indicate a certain border demarcation worthy of a Medinat1. The law of nation, as a law recognizing Israel as a national state of the Jewish people, thus becomes socially disruptive and strategically essential, and is animated by the principle of preventive attack capable of annihilating enemy threats when deemed imminent. After all, Moshe Dayan said that Israel must be seen "like a mad dog, too dangerous to be disturbed". The law divided public opinion by obtaining two relevant results: a social split between neglected but significant ethnic groups (Arabs and Druze), and a policy, also in the context of the Likud, with a conflictual relationship with the US diaspora, too liberal to understand a culturally and historically distant national reality that distances, at least conceptually, who despite being Jewish refusesaliyah and qibbutz galuyot2 and that tests the status of "only Middle Eastern democracy". Will Ysra'el know how to preserve the favor of such a strategic rear? Israel on one hand shows significant military, technological and economic capabilities, on the other hand highlights limits in politically maximizing opportunities related to the safeguarding of security interests, together with the assessment of the risks of an escalation on several fronts. 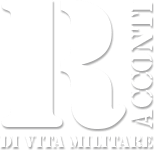 Low-intensity military actions against key enemies have not led to significant political results; the asymmetry of objectives and expectations did not take into account the different perceptions, so that for some it is a "non-defeat" for others it translates into a victory. Furthermore, there is a strong basic deterrence that advises Israel's opponents not to take large-scale actions, leading them to pursue initiatives just below the war's threshold. The result leads to extreme instability in Syria, Lebanon and the Gaza Strip, which can lead to a multi-market confrontation. Jerusalem, at the moment, has opted for a short-term containment policy that, excluding attacks on Iranian embedding in Syria and the transfer of weapons to Hezbollah, maintains a potentially sustainable status quo, but which is detrimental to future security. US politics with its presidential tweets, along with the regional Sunni pragmatism that now identifies Iran as an enemy and no longer Israel, does not always facilitate the task; if on the one hand POTUS3 rhetorically reassuring, on the other (as with the withdrawal from Syria) it generates perplexities that induce not to discard two possible strategic "lights": a difficult campaign against Iran, and a new plan of action for Palestine, also by virtue of that the dynamism of international relations could limit the Israeli field of action. According to Israel, Persia constitutes a threat that acts along two mutually reinforcing lines: nuclear and conventional. The atomic umbrella is intended to ensure regional hegemony, while the current projection of power so far conducted thanks to the proxies and bases under construction in Syria, Lebanon and apparently in Iraq, will have to be supported conventionally. 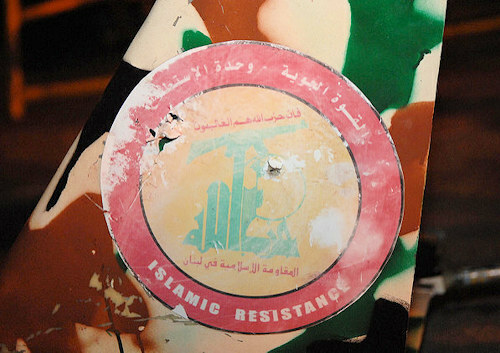 Tehran, economically vulnerable and subject to an erosion of popular consensus, intended to divert Jerusalem's attention from its nuclear program by attacking Israel directly with actions to which the IDF4 they immediately reacted on the Syrian front, assuming responsibility for it and thus raising the level of confrontation. Israel, in the face of temporary Iranian strategic patience, will have to prepare for possible future changes in US policy, and a hypothetical and unsuccessful renegotiation of the JCPOA (Iranian nuclear agreement, ed.). The conventional Iranian line is then replicated according to a growing geographical that from Persia arrives in Syria and Lebanon, and which would ensure the non-traceability of transport to Hezbollah. The relative weakening of the Syrian war, together with the intervention of Russia, which has tactical but not strategic interests with Israel and which must contain the aspirations of the Ayatollahs, has already led to a reduction of Israeli offensive capabilities, and a simultaneous qualitative increase of Hezbollah's potential . A change in the balance on the northern Lebanese side due to new equipment could break the deterrent balance that has so far deterred Israel and Hizbullah from coming to the conflagration of a larger-scale conflict. However, Israel is vulnerable to precision weapons5: in fact it is a small western country with highly concentrated critical infrastructures with little redundancy. Plants for electricity production and water desalination, gas infrastructure, could be paralyzed by targeted ballistic launches. 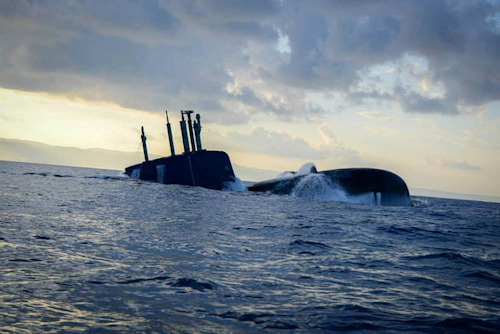 The Israeli atomic arsenal, however, is able to launch a second blow thanks to the nuclear warheads that are equipped with missiles embarked on submarines Dolphin, in constant movement between the Mediterranean and the Red Sea. Not predicting an Arab aggression, Israel could point to a weakened and denuclearized Iran, which is compatible with US policy where it remained in the Republican style. In fact Iran and Israel feed on the same fears in a sort of Risikotheorie6, where only the Star of David possesses the final weapon. In Palestine, Israel will have to face the challenge of instability in Gaza and its potential escalation due to socio-economic deterioration. Attempts to stabilize the Strip by regulating relations with Hamas, in synergy with Egypt and Qatar, have met with partial success, also due to the political absence of the Palestinian subject that does not glimpse, due to internal fractures and the weakness of Mahmoud Abbas, the a shift towards a reality made up of a single state, supported by the anticipation of the (undetermined) agreement of the century sponsored by the US fundamentally based on the guarantee of a future economic prosperity, and harbinger of consequences under a long-term view given the character only Israeli referring to the national state of the Jewish people. Therefore a new possible terrorist wave in the West Bank can not be ignored with lethal attack modalities inspired by Hamas in open contrast with the ANP, the latter penalized by the American cut of funds to UNRWA, which already must now support a passive budget. with the suppression of activities aimed at supporting education, governance and health; all this with heavy repercussions on Egypt, Saudi Arabia and Jordan, a country hosting refugee camps and which, without support, might have to be forced to grant - with reluctance - naturalization to the Palestinians present in its territory. In a critical country towards politics, Tsahal (Israeli defense forces, ed) is the institution that enjoys the greatest national trust; inevitable the importance of his Chief of Staff, a prominent figure without equal, especially in a historical moment so full of events. The emphasis that has characterized the handover between General Eizenkot and General Kochavi (photo) leads inevitably to recall the imminence of early elections scheduled for next spring. The current Prime Minister and Interim Minister of Defense Netanyahu, eager to be accredited as the best defender of Israel, can not fail to try to capture the benevolence of the Army and its Chief, especially considering that it is not unusual to see many former generals becoming major political figures. From an operational point of view the gen. Kochavi assumed his position at a time marked by marked instability, and where Ysra'el expects to have a broad strategic regional and global vision, and above all he hopes that he will be able to replicate the victories of the past. 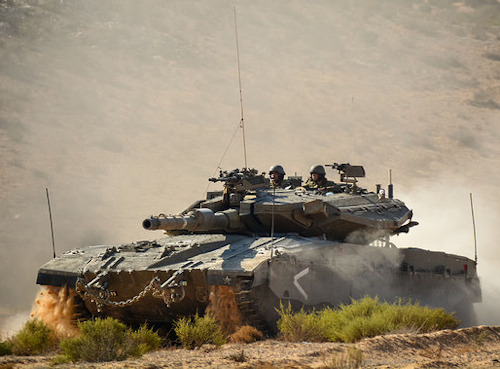 The CSM will therefore have to ensure that the strategy of Tsahal, based on a new concept of war and based on a multidimensional shock that associates the artillery and air force precision fire with unprecedented maneuvers of fast, lethal, flexible earth and able to penetrate enemy territory, both punishable in conflicts such as those hypothesized against Hamas and Hezbollah, and without having to slow down the action due to social and political constraints related to the use of force. 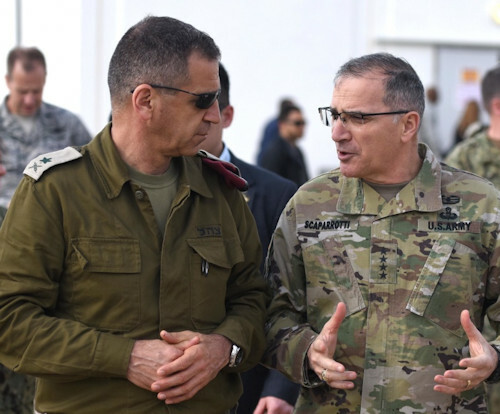 The 22 ° CSM takes office at a time when the elements that led to a period of relative calm are running out; this is why his responsibilities are among the most urgent and important in the current situation of Israel. The insoluble problems are many, and the desire to resolve at all costs more than careless could be dangerous. What is certain is that the West has not been able to catch on time aspects and evolutions of an overly complex Levant for rigid and schematic minds. What is certain is that, regardless of who wins the April elections, Israel will not retreat to a new Masada.